Rumah Sakit Umum Karsa Husada Batu - RSU Karsa Husada Batu or known as RSP Batu is a well-established government-owned general hospital in Indonesia, located in Kota Batu East Java Province. 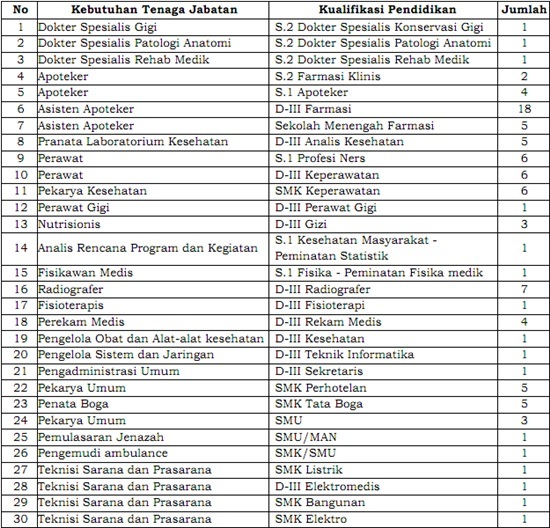 RSP Batu is registered at Jl Achmad Yani No 11-13 Kota Batu. RSP Batu is a Regional Public Service Agency (BLUD) of East Java Province and is completely owned by the Provincial Government of East Java. 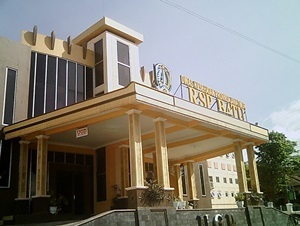 According to RSP Batu's profile as cited by JobsCDC.com, RSP Batu was first established in 1912 during the Dutch colonial period with outpatient services for lung disease. After Indonesia gained independence in 1945, RSP Batu was entirely handed over to the Government of Republic of Indonesia especially to the East Java Provincial Government. In 2015, the Hospital transformed from special lung hospital became general hospital and its name transformed into RSU Karsa Husada Batu. JobsCDC.com now available on android device. Download now on Google Play here. Please be aware of recruitment fraud. The entire stage of this selection process is free of charge. RSU Karsa Husada Batu - Recruitment SMA, SMK, D3, S1, S2 Non CPNS RSP Batu May 2017 will never ask for fees or upfront payments for any purposes during the recruitment process such as transportation and accommodation.